Whether in a small, local business or large enterprise, you want to see your business succeed. Credit cards for personal use can get you rewards for your purchases, but what about those purchases for your business? Those budget items deserve rewards too. With a credit card specifically designed to accommodate the unique needs of businesses, you can rack up the savings for your organization to save and lower spending costs. When looking for a quality card that rewards you in your business purchases, the Ink Business Cash card rewards you with more cash in your account as you spend in select business categories. With this business card, you’ll earn 5% cash back on your first $25,000 you spend in combined purchases at places like office supply stores and on services such as internet, cable and phone. You’ll also get to earn 2% cash back on your first $25,000 spent at places like gas stations and restaurants with this card. For all other purchases, you’ll earn 1% cash back with no spending limit. With these rewards, you’ll get to redeem them for cash, gift cards, travel and much more through Chase’s rewards program. As an incentive after you open your account, you’ll also earn $500 after you spend $3,000 within your first three months. If the impressive cash back perks weren’t enough, this card also offers additional benefits like employee cards available at no extra costs which helps you set individual spending limits on your employees. You’ll also get travel and purchase coverage like purchase protection, extended warranty and auto rental collision damage waiver. Whether your team is around the area or off on business trips, this card can help you and your team reap the rewards. Get cash back bonuses to help save your company money on all your purchases. With this card, you can get a spark in your savings. With the Spark Cash for Business from Capital One, you’ll earn unlimited 2% cash back on your purchases. As a new cardmember offer, you’ll also have the opportunity to earn an extra $500 cash bonus when you spend $5,000 in your first 3 months. You can also earn an extra $1,500 when you spend $50,000 in your first 6 months with the card. That’s a lot of extra cash back into your business. In addition to the unlimited 2% cash back you’ll earn and the new cardmember bonuses, you’ll also get the top-notch service you want for your business. Keep your business protected with zero fraud liability if you lose your card. Stay connected with alerts on your phone. You’ll also have the opportunity to get free employee cards so your team can use and rack up rewards on all the purchases they make for your business. Your rewards you earn on the card also never expire and can be redeemed at any time, without having to meet a minimum amount. The Spark Cash card also offers Visa Business benefits such as emergency card replacements and security and purchase protection so you know that what you buy is what you’ll get. As a business owner or employee, you want to do what you can to make sure your organization thrives. With the rewards offered through this card, you can keep moving toward your goals. 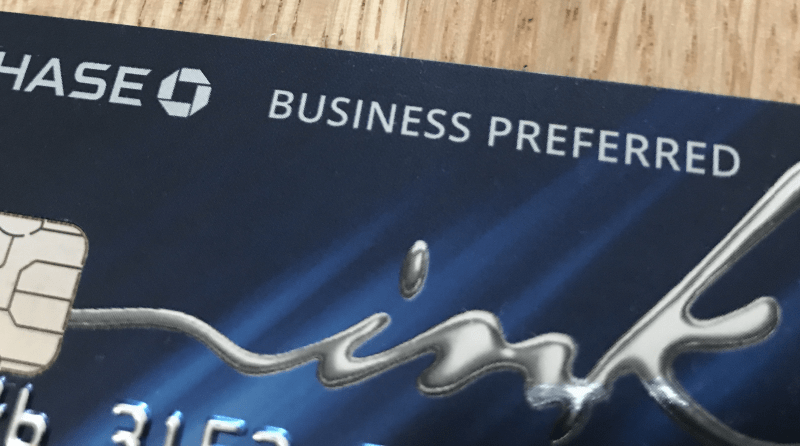 This business card from American Express gets you two times Membership Rewards points on your everyday business purchases, up to $50,000. And with no category restrictions, you can rack up the points on all your purchases, big and small. In addition to being able to rack up points you can redeem for rewards, you’ll also get many other benefits with this card, including the opportunity to buy above your credit limit which allows you to make the purchases you need. This expanded buying power is set up automatic so there’s no extra hassle in setting it up as you have purchases you need to make. When it comes to managing your team, get cards for your employees with no annual fee. Keep track of all expenses with helpful resources offered through American Express such as Account Manager services, Spend Manager, Connect to Quickbooks and applications for your mobile phone or tablet so you can track as you’re on the go. Be always in the know about your account with the ability to view statements online and get alerts on your account so you can monitor and keep track of spending. When it comes to saving money for your business, getting a little extra cash in your account is a benefit you want. With this card, you can easily and quickly earn cash back on things your business needs everyday. Whether your business makes a lot of purchases or a few, earning cash back on each and every purchase you make is easy with this business card. Earn 3% cash back on your eligible purchases from cellular, gas and office supply stores, things that your business needs everyday. For all other purchases you make, you’ll earn an automatic 1% cash back to your company’s account. Earning cash back is a great value-add to your business. But with this card, you can stack on additional rewards and benefits that will carry your business ahead. Earn a 25% annual bonus, based on your previous Cash Rewards, up to a $250 value. After you spend $1,000 on eligible purchases in your first 90 days of having your account, you’ll earn an addition $200 cash back, just for those purchases you make everyday. Plan out your savings with no expiration on the rewards you earn and no limit on what you can earn. U.S. Bank also offers several security and customer service benefits such as zero fraud liability, spending controls and the opportunity to track your spending with their free, easy-to-use online tools. Have a question you need answered about your account? Their 24/7 customer service allows you to get the answers you need, when you need them in helping your business run effectively. For your small to mid-sized business, the SimplyCash Plus Business card is a great option to help get cash back in your company’s account. Getting cash back is great, and with this card, that cash back comes automatically based on the type of purchase you make. Earn 5% cash back at office supply stores and wireless phone services through the United States. You’ll earn 3% cash back on purchases in select categories including airfare, hotels, car rentals, gas stations, restaurants, advertising, shipping and computer resources. For all other purchases your business needs, earn 1% cash back automatically, easy as that. If earning instant cash back wasn’t enough this card also offers other perks and benefits including the opportunity to buy above your credit limit so you can make those purchases you need to when they arise, without having to pay additional fees. As you and your team travel, earn rewards and be protected in your purchases with benefits such as car rental loss and damage insurance and baggage insurance. Travel with confidence with roadside assistance services and travel accident insurance. You can also keep track of all your spending and savings with helpful management tools offered through American Express that allow you to see when, where and how your cards are being used. When it comes to saving your business money to boost your revenue, a credit card with extensive benefits and rewards is a great option. Discover which card fits you and your business best and get rewarded for your work.